Changing your grip when you exercise makes different parts of your arm come into action, resulting in bigger arms. Forearms will make your arms look bigger. They also increase your strength, meaning you will lift more with your arms and get bigger arms in time. When you hit the gym, if it’s arm day, train your arms first. 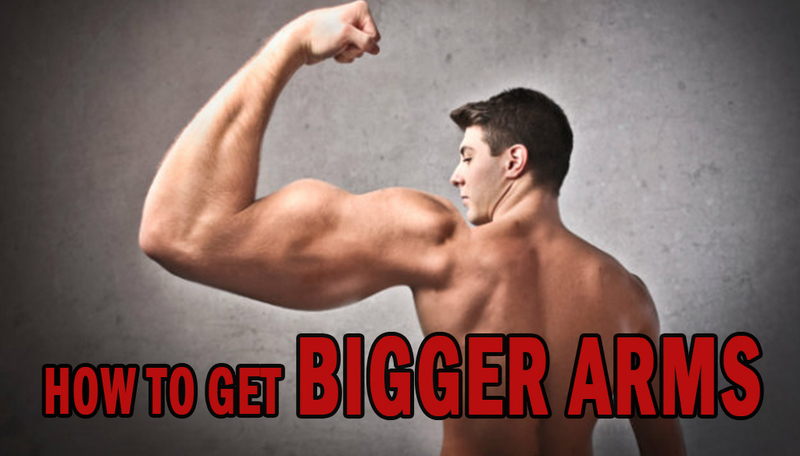 Some research suggests that you can build as much as 40% bigger arms by training them first. On each and every rep, hold the contraction for 5 seconds and squeeze. Make sure you do the maximum weight you can comfortably lift and do 10-12 reps using good form and full range of motion. Lift heavy in the gym. Don’t do too many shaping movements. Go for the big ones such as Squats, Deadlifts, Bench Press, Rows, Overhead Press etc. The difference between a bodybuilder and a weight lifter is that a bodybuilder poses in front of the mirror and perfects, tweaks and further enhances their muscles. Make sure every day you pose for at least 10 minutes flexing your biceps and triceps. Contract hard and hold it. Many people get too obsessed with biceps. The fact is that your triceps are a much bigger muscle and building all tricep heads will give you much bigger arms. Changing your grip hits different parts of your arms. Even better, change your exercises! Make sure you do a whole variety of them such as dips, close grip bench press, tricep pushdowns, skull crushers, barbell curls, dumbbell curls, cable curls and so on. Some people swear by this rule: 1-3s are one second to go up and 3 seconds to come down, really pushing the muscles and getting them to work. hello how can i get bigger arms thank u ?